Buku Tazkia Publishing hanya dapat dibaca di aplikasi smartphone & tablet Android. The development of Islamic finance industry internationally started since 1970. It emerged during the period of 1970s to 1980s and offered products limited only to the needs of Muslims, especially trade finance and working capital by still replicating conventional banking mechanism. From1980s to 2000s, the pace of growth in the Islamic finance industry became more encouraging. This period was known as the rise of Islamic finance. 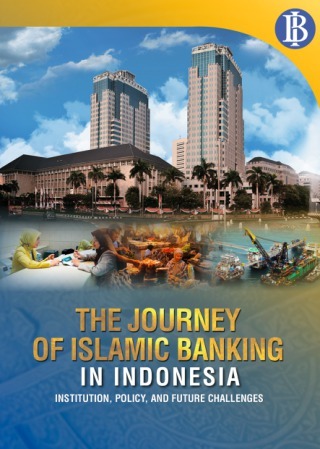 Islamic banking was introduced not only as a commercial bank, but also as an investment bank. At the same time, insurance companies also began to grow quite rapidly. This growth indicates that the form of Islamic finance industry was starting to expand into other financial sectors, not only focused on the banking sector but also extended into leasing, capital markets, insurance, and other forms with variety of interest-free financial products. With such development, the Islamic finance industry became increasingly more diverse in its services, while at the same time contributed to the modern economy and meeting the needs of both Muslim communities and others. The expansion of the global Islamic finance industry continued in the 2000s-2010s period, with the emergence of Islamic investment, asset management, brokerage, and capital markets institutions. By then, Islamic financial institutions had been able to become full value added institutions. In addition, during this period, the Islamic finance industry was able to offer more sophisticated products and compete with conventional financial institutions. This condition pushed the Islamic finance industry to become more efficient and productive as an intermediary institution, hence its global recognition as a genuine alternative to modern conventional finance.